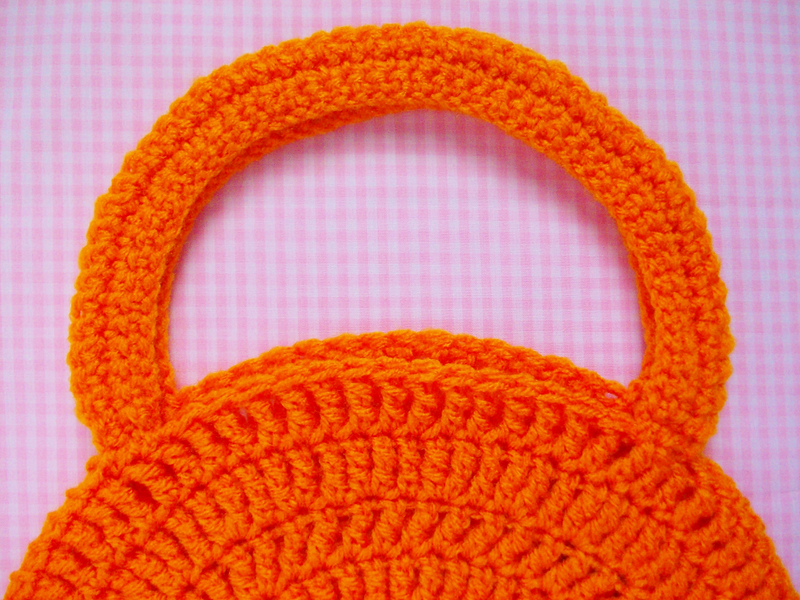 Are you guys ready for some last minute DIY patterns well you're in luck because I have two really cute crochet patterns that I will be sharing with you guys this week! 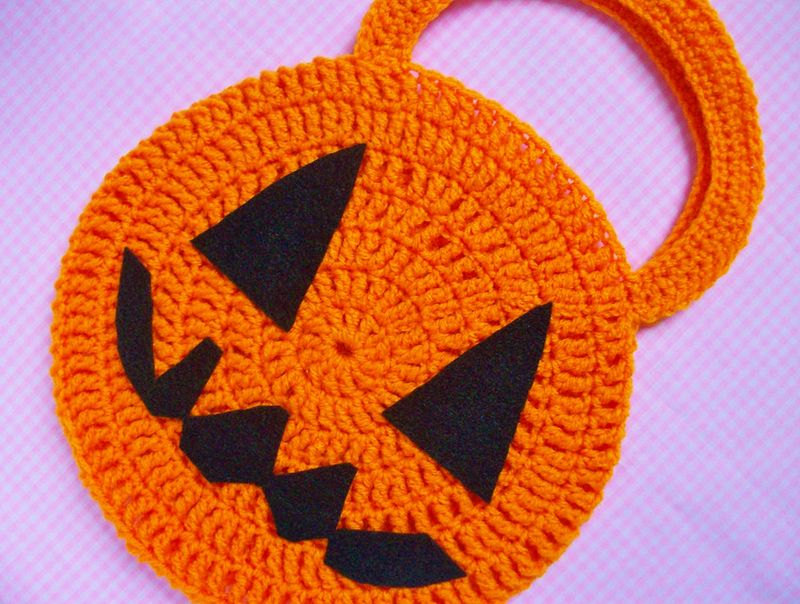 Last start off with the first, it's on how to crochet a trick-or-treating bag. If you were like me growing up your probably remember carrying that neon orange plastic pumpkin head all Halloween night awaiting for it to be filled up to the brim with scrumptious candy. 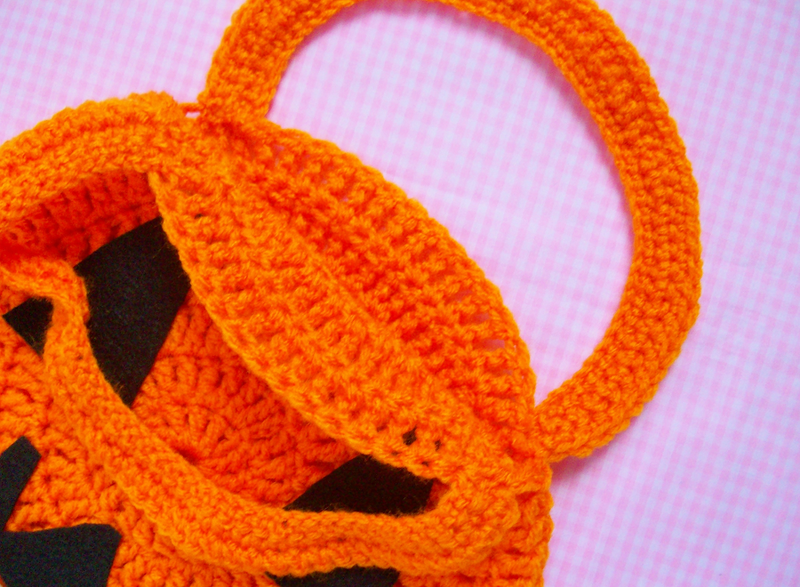 Well I decided to make a crochet version that is as equally cute as the classic Halloween pail but just a little softer. 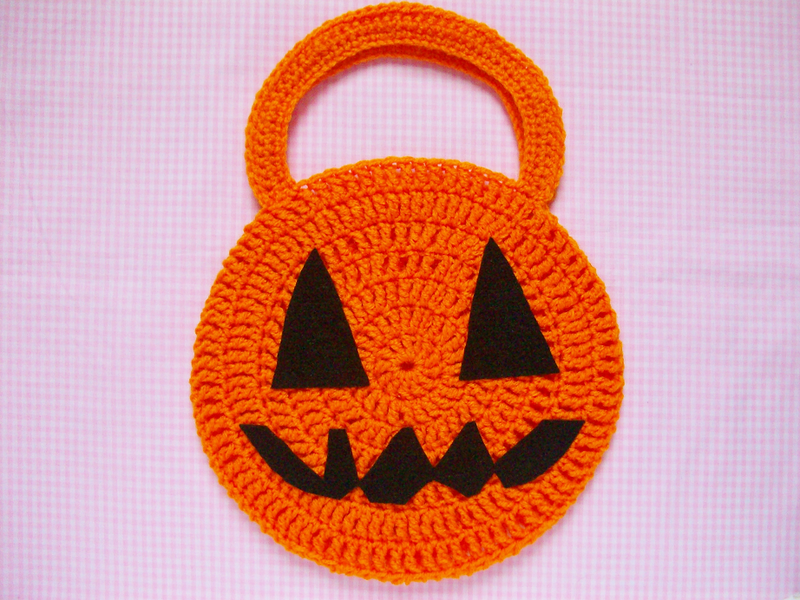 By the way this bag may not be the ideal trick-or-treating bag for your typical trick-or-treater's who want a abundant of candy falling out of their bags as they run from house to house searching for even more candy but if your child you plan on just going to a few houses enough to satisfy your sugar cravings then this bag is perfect for the children you. * You know you've completed a round when I place a "." at the end. * At the end of each row (in the pattern) I let you know how many stitches you should have. 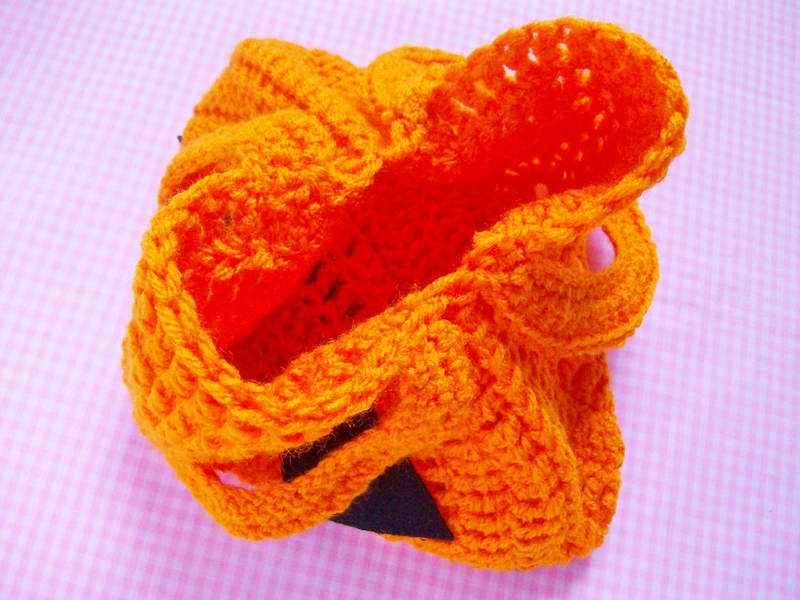 * If anything seems off let me know I wrote this pattern as I was crocheting it so there could be a few flaws within the pattern. - Ch 3, [work 1 tr in each of the next 6 sts, (1 tr st in next st, 2 tr in next st, repeat x6), repeat x1], sl st to 1st st. 48 sts. Next is sewing time! 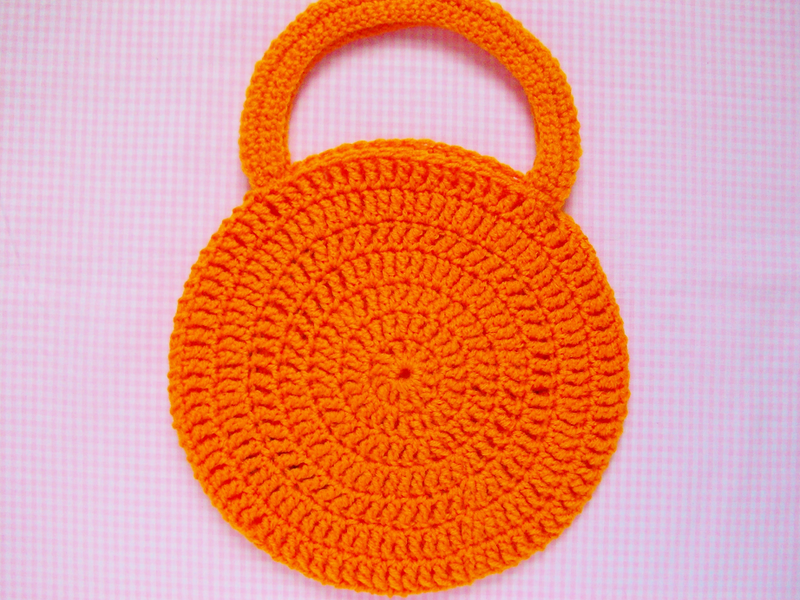 With a yarn needle sew the two circle pieces together but leave a hole big enough for your candy to get in (I left a 22 st gap for my bag). Sew on the two straps near where the candy gap ends. Weave in any loose ends. You can either crochet small parts for the face or cut out some eyes and a mouth on black felt and glue it on like I did. 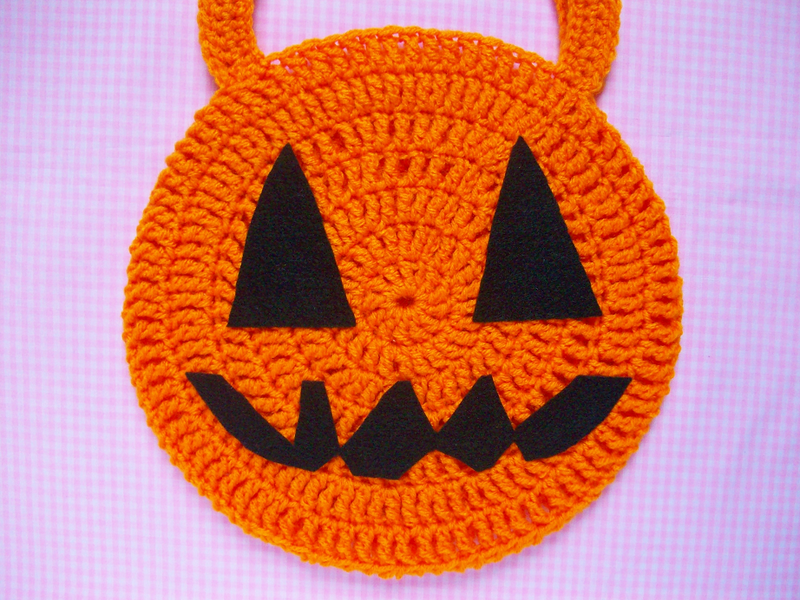 You can also line the bag inside with fabric if you want to make sure all the candy doesn't poke out through the bag. 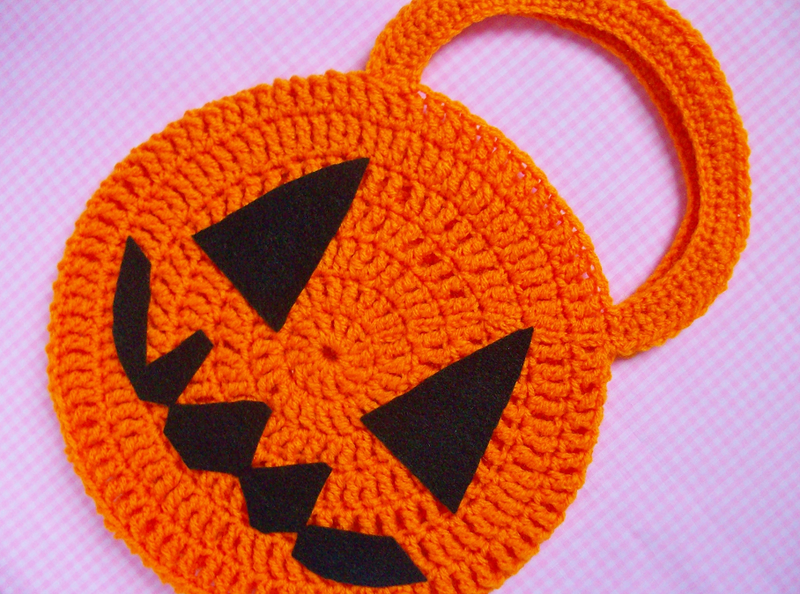 Now your bag is ready for candy!